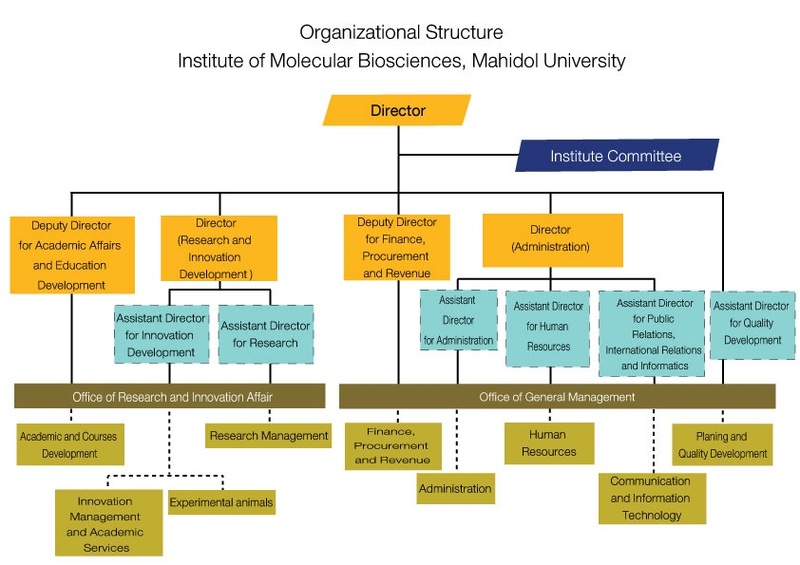 The Institute of Molecular Biosciences (MB) was established in 2009 as a research institute under the new organizational structure of Mahidol University with missions of promoting research excellence and training in Molecular Biosciences. 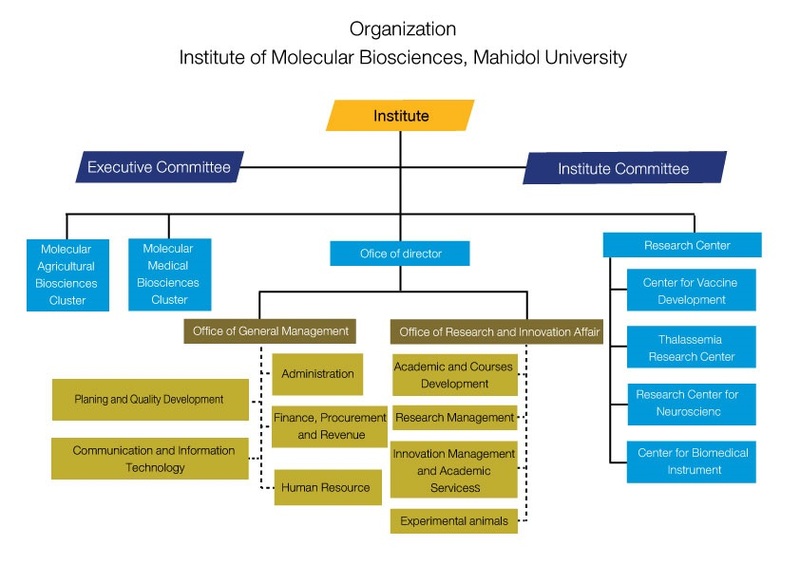 The institute is founded by a merging between the previous two sister institutes: Institute of Science and Technology for Research and Development and Institute of Molecular Biology and Genetics, which are renowned research institutes of Mahidol University dedicated to the advancement of science and technology and their applications in medical and non-medical fields.The goal of MB is to produce knowledge, innovations and scientific personnel to be used for the betterment of health and economy of the region. Research areas of MB focus on important human diseases and improvement of major agricultural and bio-products of the region. Along with these research activities, MB provides postgraduate education through international M.Sc. and Ph.D. programs in Molecular Genetics and Genetic Engineering, Neuroscience and in Systems Biosciences.